Alcon (formerly CIBA VISION) DAILIES Total1 Multifocal (30 pack) - a single use, daily disposable lens. Designed for clarity at a wide range of distances and refreshing comfort all day. 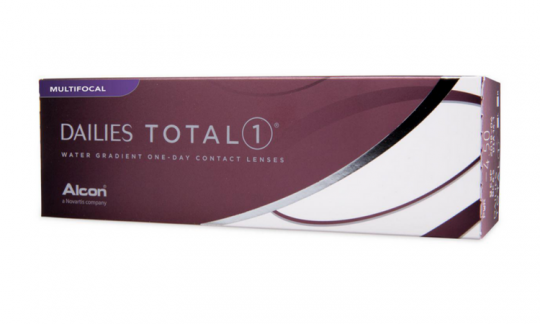 DAILIES Total1 Multifocal is the worlds first and only water gradient multifocal contact lens.